Illegal dumping is a problem several Bay Area cities face, but San Jose's renewed effort to crack down on violators has shown results, according to city officials. San Jose has started to hand out stiff fines when they catch someone illegally dumping trash or junk in city streets. 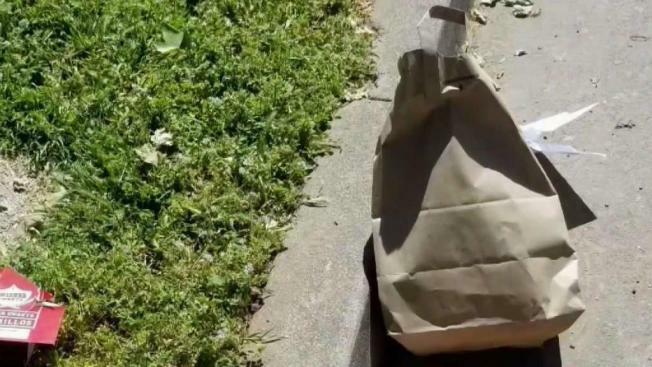 While offenders usually try to be discreet, one man was caught on camera last week blatantly throwing out trash near the side of a home in East San Jose. The homeowner said what's shocking is the dumper is a familiar person, a food delivery worker, and some of the trash was old food that did not get delivered. "Would you dump the trash in front of your house? No, of course not," Jeffrey Levine said. "You’d go find someplace else to do it. So your’re treating my house and my neighborhood as a garbage can." Levine sent the video to the city’s Environmental Services Department, and officials say the man seen in the footage will be cited and fined $2,500. The city is in the midst of promoting its illegal dumping enforcement and junk pickup program, targeting neighborhoods where there have been numerous incidents but not enough reporting. "The more we talk about it, the more the message will get out," said Jennie Loft, spokeswoman for San Jose's Environmental Services Department. "And we need everybody’s help in getting the information out." "It’s an ongoing, almost daily occurrence, where people mindlessly toss trash," Levine said. "The small stuff along with the bigger items. The mattresses, the refrigerators, all of that." The $2,500 fine is for a first offense, and subsequent violations could bring fines as high as $10,000, officials said.